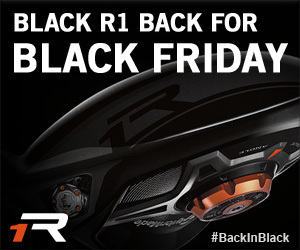 We brought back the Black R1 driver for Black Friday. 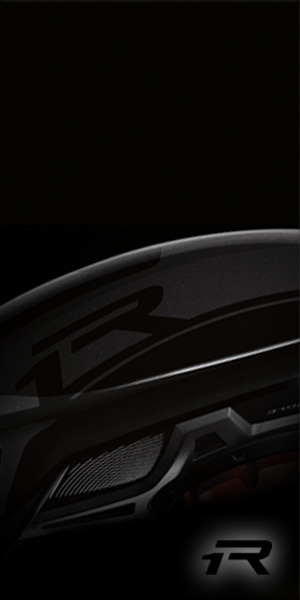 The TaylorMade Black R1 driver was the most popular virtual club in 2013, providing extra distance and forgiveness on WGT. Available for players at levels 11, 48 and 93, with upgraded shafts and lofts for optimum driving performance. Not to mention its sleek all-black look. The third and final round of the WGT Winter Tour continues on Merion Golf Club. Players have until 11/30 to post their single-play round, with the Top 70 combined scores across all three rounds in each WGT tier splitting the WGT Credit purse. Get the newest irons from TaylorMade available in the WGT Pro Shop, unlocking at three levels. The SpeedBlade virtual irons have a low center of gravity that gives you a higher launch angle with more carry and less roll, helping with your approach shots. Great choice for players looking to improve their virtual iron game! 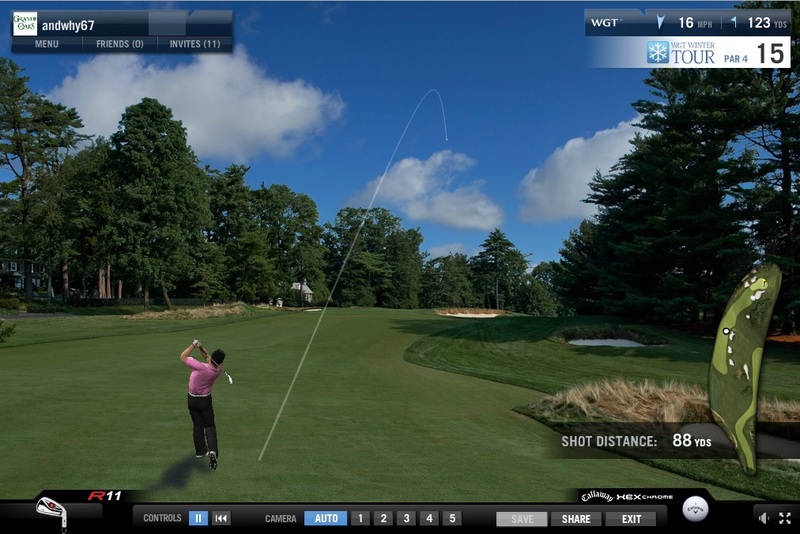 Get the first virtual club from Callaway on WGT, the Callaway X Hot virtual driver, with explosive distance off the tee. The X Hot is an exciting new driver with additional distance plus forgiveness, to improve your virtual game and give you an extra edge. The WGT Winter Tour continues into Round 2 this week, from 11/18 thru 11/24, with a more challenging single-round format on Bethpage Black. The infamous Black Course hosted the 2010 U.S. Open and will host the 2019 PGA Championship and 2024 Ryder Cup. 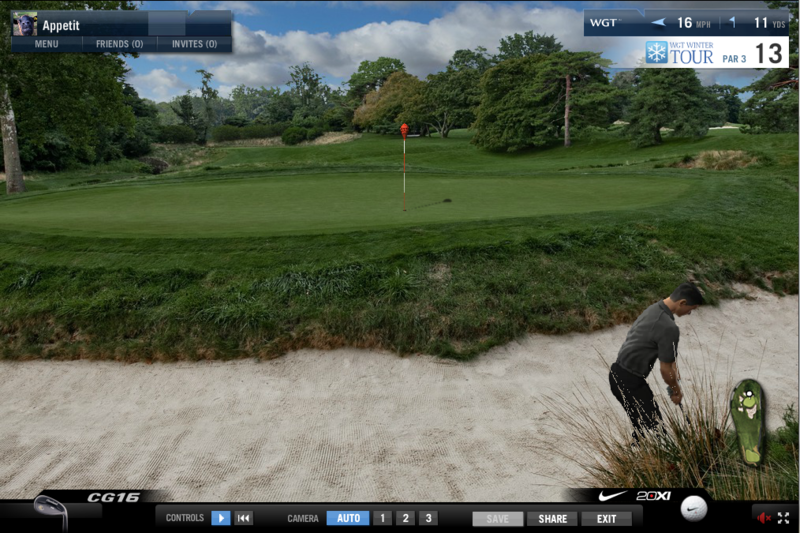 Its length and small, raised greens make it a true test of golf, real or virtual. Round 3 will be played 11/25 thru 11/30 on Merion Golf Club, site of the 2013 U.S. Open, another challenging course for a single-round score, especially putting on those greens. The Top 70 combined scores in each WGT tier will split the WGT Credit purse. 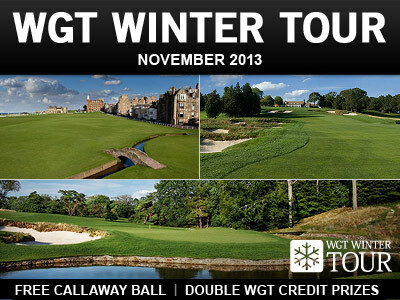 Note, the WGT Winter Tour closed on 11/18 to new entries, as winners are based on combined scores across all 3 rounds. 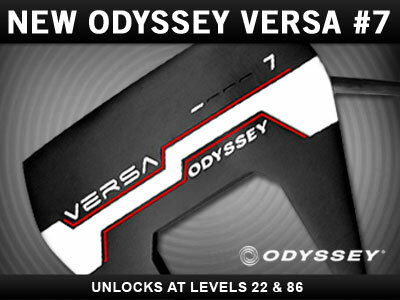 The new Odyssey Versa #7 virtual putter is now available on WGT, offering more alignment, forgiveness and overall balance for your putts. The modified mallet shape and black and white design make the Versa #7 a unique, must-have putter for top WGT players. Unlocks at Level 22 and Level 86 in the WGT Pro Shop. The holidays are right around the corner, so get the latest virtual golf equipment from Callaway, Odyssey and TaylorMade, plus a shiny new iPhone app to play with. Enjoy! 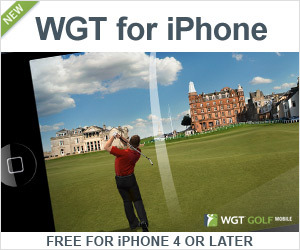 You helped make WGT Golf Mobile a Top 10 sports app for iPad, and now you can play WGT on your iPhone too. WGT Golf Mobile is a free app for your iPad 2 and iPhone 4 or later, with a high-speed Internet connection. 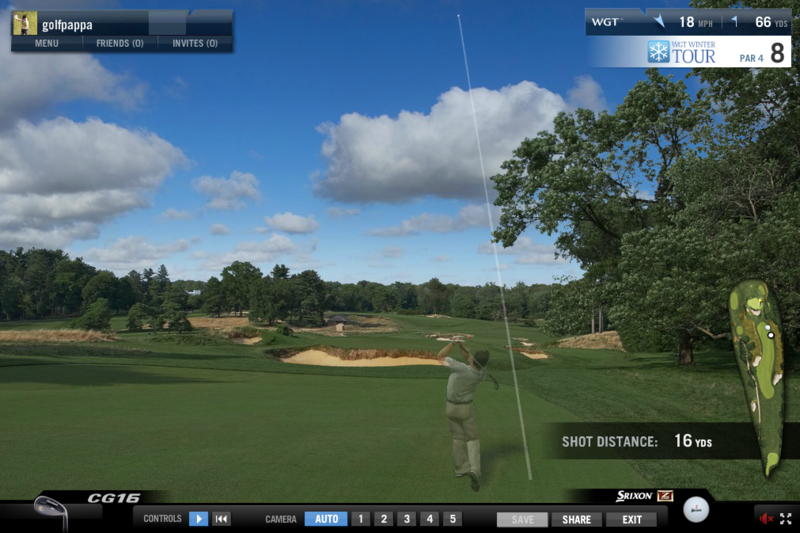 Use your existing WGT account and virtual equipment to play full stroke play, closest-to-the-hole and free tournaments across eight WGT courses, including the newest additions: Bethpage Black and Wolf Creek. Also just added, Gimme putts, Putter Pal and Shot Pal, plus improved login. Note, WGT Golf Mobile does not include multi-player games, country club tournaments, avatars or all the WGT courses yet. We'll be adding those updates in the coming months, as well as support for Android mobile devices. The modified mallet shape and unique design of the new Odyssey Versa #7 putter offers increased forgiveness and more alignment to help you improve your virtual putting. Unlocks for top WGT players at at Level 22 and Level 86 in the WGT Pro Shop. 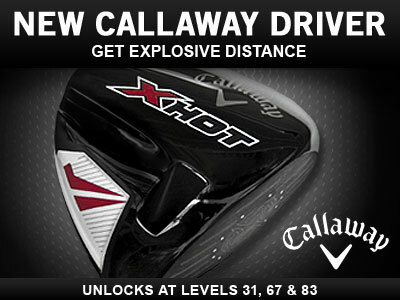 Increase your distance off the tee with the Callaway X Hot driver, now available on WGT. The additional distance, plus extra forgiveness leads to greater accuracy and more consistent drives. Unlocking in the WGT Pro Shop at Level 31, Level 67 and now Level 83. 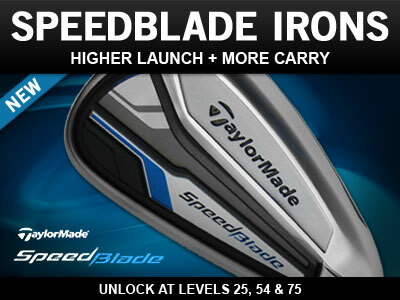 Get the latest iron set from TaylorMade, the new SpeedBlade irons now unlocking earlier for WGT players. Built for higher launch, more carry and overall improved ball flight, the SpeedBlade Iron Set unlocks at Level 25, Level 54 and Level 75. WGT is better with friends, so now when you invite a friend to join you on WGT and they sign up for free, we'll give each of you one free Callaway Slow Meter ball to help you improve your game and help your friend get started. The more friends who sign up, the more free Callaway balls for you. 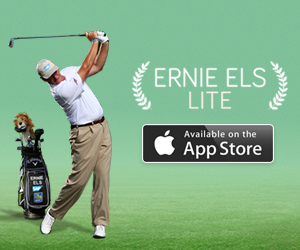 The free Ernie Els Lite app for iPhone is the ultimate golf training app for your real world golf game. *Ernie Els apps are developed and supported by Driven Apps. The first round of the WGT Winter Tour continues on as players compete for a spot among the top 50% in each tier and a chance to advance to Round 2. 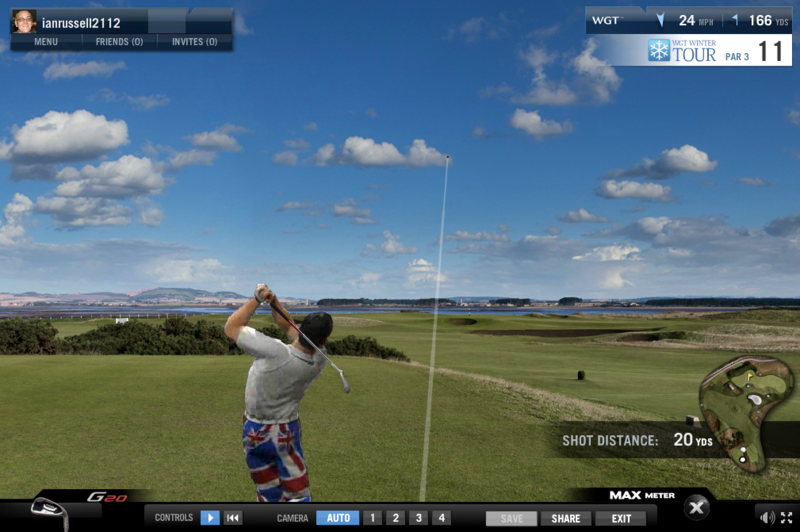 Check out this WGT Winter Tour replay from ianrussell2112 on the 11th hole of St Andrews. A traditional links course like St Andrews requires precise shot selection and strong course management. The famous 17th Road Hole at St Andrews is bordered by the road and features a shallow green guarded by a menacing deep bunker. When 10-time PGA Tour winner Steve Elkington (@elkpga) recently visited the WGT offices, he explained that depending on the hole location, experienced players often attempt to run the ball up on the right side of the green and play the break, or miss just to the far-left of the green leaving an easy uphill chip shot. Remember, Round 1 scores on St Andrews must be posted by 11/17 in order to qualify for Round 2 on Bethpage Black and Round 3 on Merion. The top 70 combined scores in each WGT tier win WGT Credits.